Six Sigma promotes hierarchy within an organisation, with employees earning titles such as Champions, Master Black Belts and Green Belts. Six Sigma is simply an approach for achieving process excellence. The Six Sigma management strategy provides tools and techniques that identify how you can eliminate waste within your business. Originally developed by Motorola in 1981, Six Sigma strives to improve processes by reducing variability in production methods. 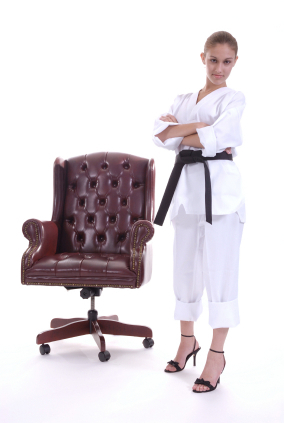 Six Sigma promotes hierarchy within an organisation, with employees earning titles such as Champions, Master Black Belts and Green Belts. Every Six Sigma project follows a defined sequence of steps and has quantified targets (usually financial). As with lean manufacturing, Six Sigma can be applied to any businesses across all industries and of all sizes. However, small to medium businesses often report faster successes with Six Sigma, as the implementation time can be sped up due to less hierarchy and bureaucratic delays. Six Sigma will help you recognise processes that currently exist, including suppliers, contributors, procedures, outputs and customers. Once these processes are identified, Six Sigma assists you with determining who owns specific processes and helps them find ways to improve these specific processes. Six Sigma dramatically increases productivity because no time, energy or resource is wasted in any of the processing levels. It reduces costs and wastage and is easily adaptable to accommodate change. Organisations that embrace positive change survive global challenges. Talk to Web and Flo about increasing your productivity and achieving process excellence on: 1300-859-894 (within Australia).